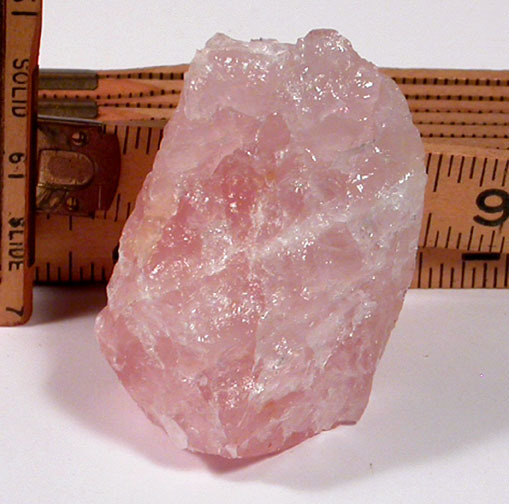 We like natural stones and big beads of them as well, so we offer this South Dakota rose quartz rough with gem pink hue to you for wirewrapping, lapidary work, or display if you can't bear to cut it up. 1-1/4x 1-1/2x 2-1/4" Titanium, iron and other impurites give hue - its' rainbows, by chance. 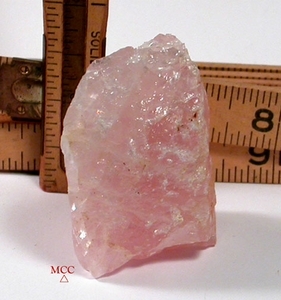 Tiny fine bands of milk quartz, too. Keep from sun to keep its' coloring.